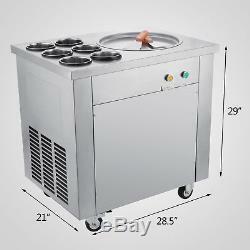 Fried Ice Cream machine Ice Cream Maker For Yogurt with 1 Pan 6 Buckets. 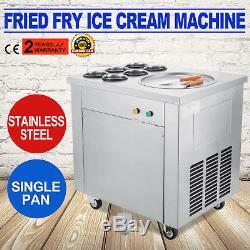 Here we present you this new Fried Ice Cream Maker. It copes with pure water, prepared formulas, fruit juice, milk shake... You can create a variety types of soft and hard ice cream, smoothies, Ice, ice mud, slush, snow ice, fruit ice, ice porridge, etc. 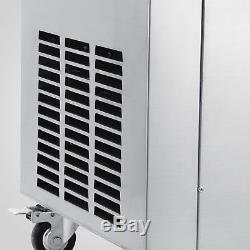 It can make ice fast within just 58 seconds while energy saving. 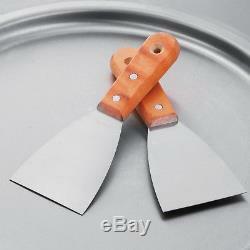 Can be used to make ice cream, yogurt, ice shaving and more styles waiting for you to explore. Not only being convenient and efficient to use, processed foods made by it taste good, rich in nutrition and refreshing. It features with one working pan for ice making and six buckets where you can put your ingredients in, thus promoting your working speed and increase efficiency. High efficiency is ensured by 6.8cm height and 18cm diameter of each cylinder. Air-vents--Rectangle shaped grid distribution air-vents keep the temperature of functional units and prevent machine damage costs by high temperature. 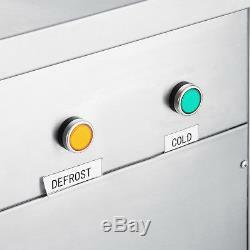 Switch and buttons--Striking and distinct colors for different buttons decline misoperation. 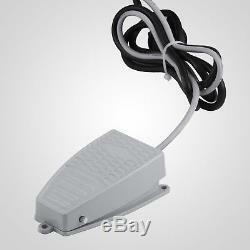 A simple press of frost button will eliminate the white dew appears in the pan. Copper cooling pipe--Fast cooling speed, ice could be made in just 58 seconds. High efficiency and energy saving. 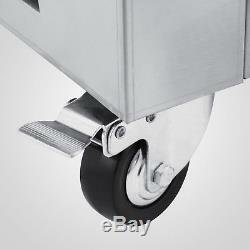 Universal wheels--Rubber universal wheels, wearproof and noise reducing. You can expect 360° swerve and free pull without effort. Turn on your machine, wait until white dew shows on the pan. Pour in yogurt/liquid cream/fruit juice/other material youve prepared. (The ratio of powder to water is 2.5 : 1). Wait for your ingredient froze into the status you wish for. Use your ice scoop to push the ice cream to shape it. Add fruits, nuts, jam, syrup or any food you want to add flavor. Frequent removing frost to avoid the ice cream freezing fast. When you receive the machine, please place it for 24 hours before use. This action can prevent the freezing oil in the compressor from going into the tube which may damage the compressor and impact the cooling effect. Strong and secure wood case package. 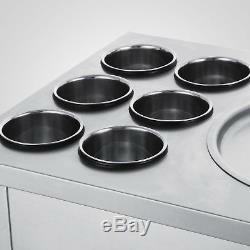 Type: Single pan w/ six buckets. 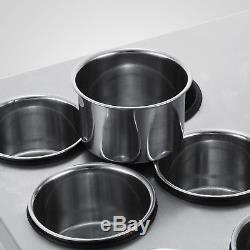 Pan diameter: 400mm / 15.74. Gross Weight: 57.3 kg / 126.35 lb. Package Dimensions (L W H): 91 x 81 x 63 cm / 35.8" x 31.9" x 24.8. 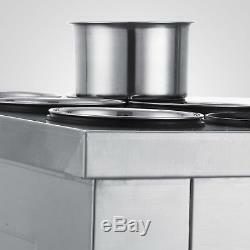 1 X Single Pan Fried Ice Cream Machine Set. The item "Single Pan Fried Ice Cream Machine 6 Buckets Ice Cream Roll Maker Commercial" is in sale since Monday, March 12, 2018. 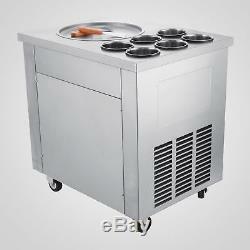 This item is in the category "Business, Office & Industrial\Restaurant & Food Service\Ice-Cream Machines". The seller is "tbb_crh4guv8" and is located in Mouscron. 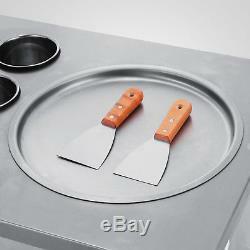 Suitable for: Fry fruit, yogurt, milk, juice, etc.